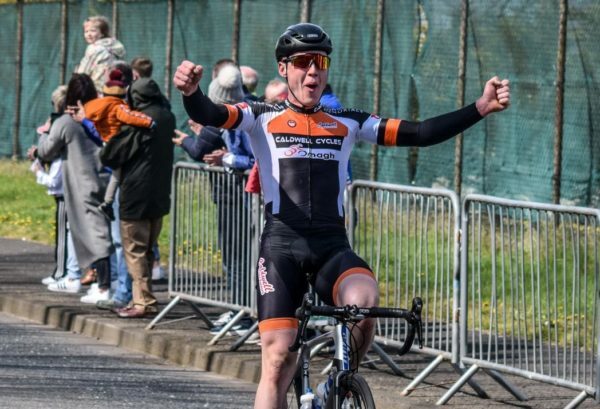 A multiple Irish title winner on the road and cyclocross scenes, Darnell Moore has taken his first win of the 2019 season. The Caldwell Cycles Omagh rider has taken the Wallace Caldwell Memorial, promoted by Ballymena Road Club in Galgorm, Co Antrim. Moore broke clear in a breakaway of about eight riders in the combined category event. And with about 3km remaining he attacked solo. He pulled out a small gap and managed to survive all the way to the finish line to collect his first victory of the new season. 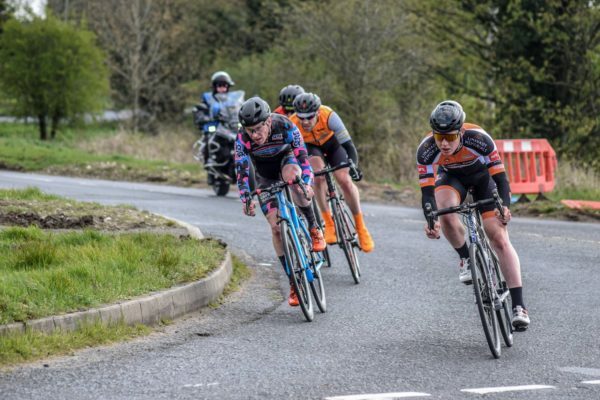 Darnell Moore claimed that victory from two of the form men of the home scene at present; David Watson (Bike House) and James Curry (Dan Morrissey-MIG-Pactimo) who were 2nd and 3rd respectively. While winless in 2019 before today, Darnell Moore was 3rd in the recent Des Hanlon and placed 4th in the Waller Cup last weekend, showing his form. Moore, right, leads the escape from Lindsay Watson, Dave Watson and James Curry.